Believing she has brought attention to the group, Flo feels dread and anxiety, causing her to make a mistake in front of the audience during her performance—a mistake that triggers a violent attack from the hunters. I had such incredibly high hopes for The Wanderers, first of all I loved the idea of a circus setting and then you add in that the circus performers are all shapeshifting children who are travelling the country while trying to avoid the Hunters who want to kill them and I was sure we were going to be in for an exciting adventure! Honestly this book should have hit all the right notes for me and I was sure I was going to love it but unfortunately that really wasn't the case and I ended up feeling incredibly disappointed. First let's start with our main character Flo, she shifts into a pony and her boyfriend is an bear, pretty cool right? Unfortunately not. I didn't immediately hate Flo but it wasn't long before her constant whining and complaining really started to get on my nerves, she just didn't stop and it got old very quickly. I actually felt sorry for her boyfriend Jett and really couldn't understand why he put up with her. Most of the other characters were cardboard cut outs and I was disappointed by the lack of characterisation, even Jett was pretty bland and he was supposed to be the love interest. I was excited to read this book because it was set in the circus but the setting was never fully fleshed out, I should have been able to vividly picture the big top, smell the saw dust and popcorn on the air and feel like I was in a ringside seat watching the show but apart from Flo's two performances the rest of the acts just didn't seem important enough to warrant more than a passing mention. It was all about how scared Flo was about her first performance and the day to day drudgery of her life as she was forced to wash her own dishes and do chores. It didn't help that I had major questions about how the circus was supposed to work as a way of hiding in plain sight. They travel from town to town in a bunch of cars and a couple of trailers yet they're supposed to be a circus that has 3 performing elephants, tigers, lions, seals, monkeys, a pony and a bear (those are just the ones I can think of off the top of my head, I'm sure there were others too). Doesn't anyone wonder how a circus with that many animals doesn't have any way of transporting them or housing them when they arrive? Don't they question why the circus needs so many tents and has so many people running around during the day when hardly any of them are actually part of the show since nobody is supposed to know they're performing as animals? When something goes horribly wrong at one of their shows and brings the Hunters to their doorstep I thought that the story would start to get interesting but instead the main characters make mistake after mistake after mistake and it's a wonder any of them survived to the end of the book. The pace goes from slow and boring to so fast you could get whiplash but in spite of that nothing really had any impact on me as a reader. There were a few twists but I'd guessed most of them long before they happened and I was feeling so ambivalent about the characters that I just didn't care how things turned out. 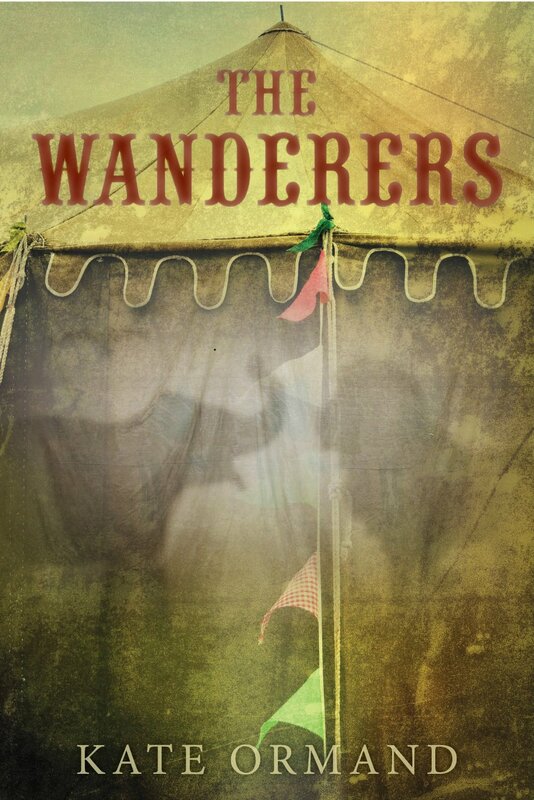 I don't take pleasure in writing bad reviews, it's one of the worst things about being a reviewer, but I always try to be honest about my feelings towards any of the books I read and unfortunately I think The Wanderers was one of my biggest disappointments of the year. What's worse is that it had the potential to be amazing and it ended up falling completely flat.